What is a spay or neuter? Spay: Most people probably do not realize what a spay involves. A spay is actually called an ovariohysterectomy because the ovaries and uterus are removed from a female pet. This prevents unwanted pregnancies, helps prevent mammary cancer, prevents uterine and ovarian cancer, and prevents uterine infections. The pet is given an injection of anesthesia to make her sleepy enough to intubate. Then an endotracheal tube is placed in her “windpipe." The patient is maintained under general anesthesia with an extremely safe gas anesthetic (isoflurane or sevoflurane). She is monitored closely with a pulse oximeter. This keeps track of heart rate, respiratory rate, percent oxygenation of the blood, EKG, and body temperature. An incision is made into the abdomen and the two ovaries and both horns of the uterus are located, ligated (tied off) and removed. This is much easier in young, thin, healthy animals. After the reproductive tract is removed and the patient is checked for bleeding, she is “closed." This involves placing two layers of dissolvable sutures in the body wall and one layer of non-absorbable sutures in the skin. Neuter: The patient preparation for a neuter and the anesthetic protocol is exactly the same as for a spay. When a male pet is neutered, an incision is made just in front of his scrotum. The testicles are removed and the cords are tied with suture. Dissolvable suture is used under the skin, and non-absorbable suture is used for the skin. Neutering helps curb behavior problems as well as help prevent prostate and testicular disease. What do I have to do at home?? First, if your pet is being discharged the night of the surgery, do not feed or give him/her water until the next morning. If he/she seems real thirsty, give a few ice cubes to lick. Normal diet is OK the day after surgery. Vomiting and loss of appetite are normal for a day or two after surgery. If this occurs, you can feed a bland diet of boiled chicken or boiled beef and cooked white rice, or meat baby food. If your pet licks at the incision incessantly, come in for an Elizabethan collar or “lampshade” as we like to call it! See a pet modeling hers below! Try to keep your pet quiet until suture removal (no ball playing or jogging). A small amount of redness, swelling or bloody discharge is normal. Excessive amounts require a recheck. It is completely normal for your pet to be a little “under the weather” for a few days after the surgery, if he/she seems extremely lethargic let us know. 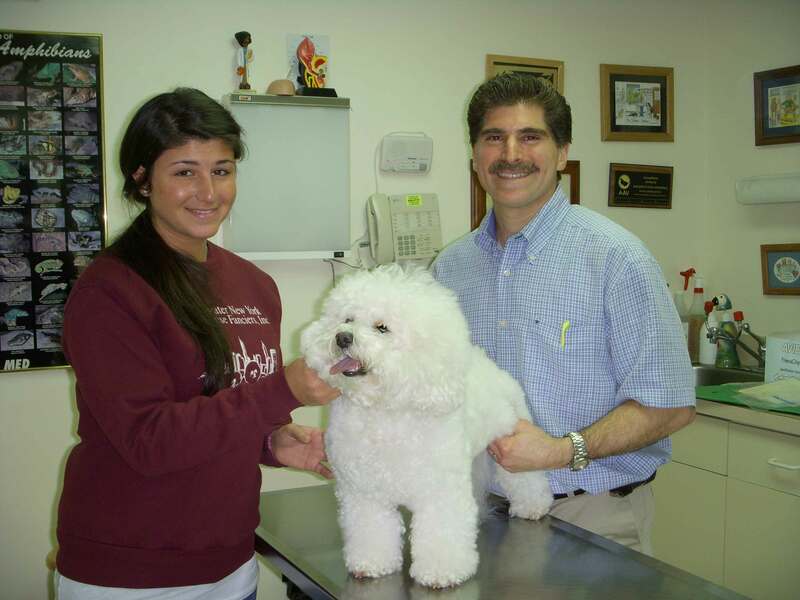 Every spring the Old Country Animal Clinic hosts the Greater New York Bichon Frise Fanciers Club annual Eye/Knee/Microchip clinic. Dr. Monaco certifies that potential breeding dogs have no congenital defects of their patella (knee) and permanently identifies each pet with an AVID microchip. 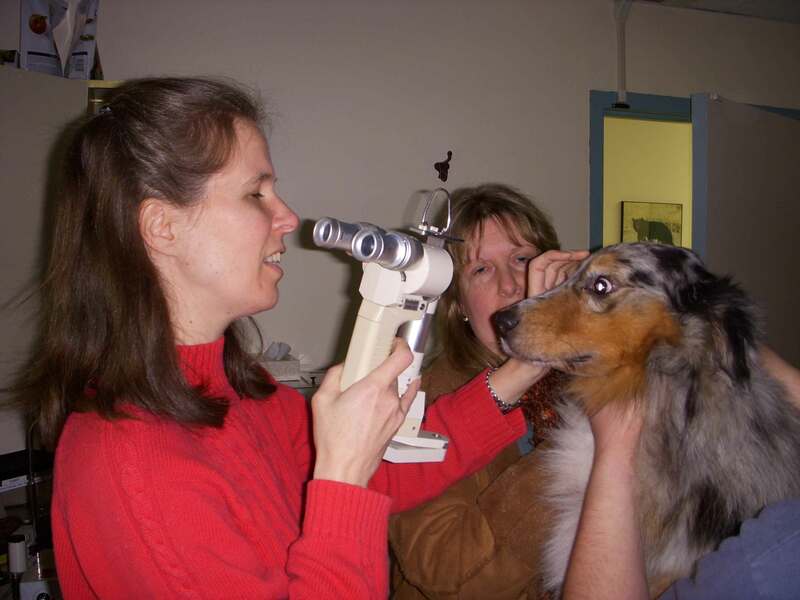 Dr. Van der Woerdt, a veterinary ophthalmologist, certifies the dogs free of any hereditary eye defects, like cataracts. The following photos are from this years 13th annual clinic. 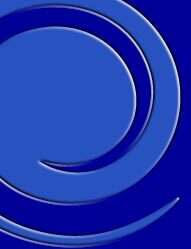 Dr. Alexandra Van der Woerdt certifies the eyes. We host this event each year to ensure that only the healthiest dogs are bred and that they meet or exceed breed standards. What happens if your pet licks his/her incision after surgery? 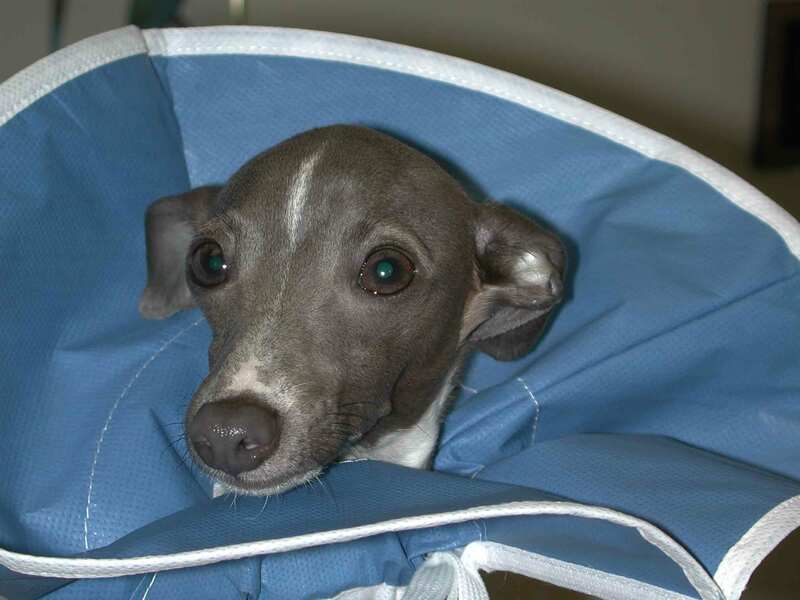 Italian Greyhound "Bella" sports a fashionable Elizabethan collar.